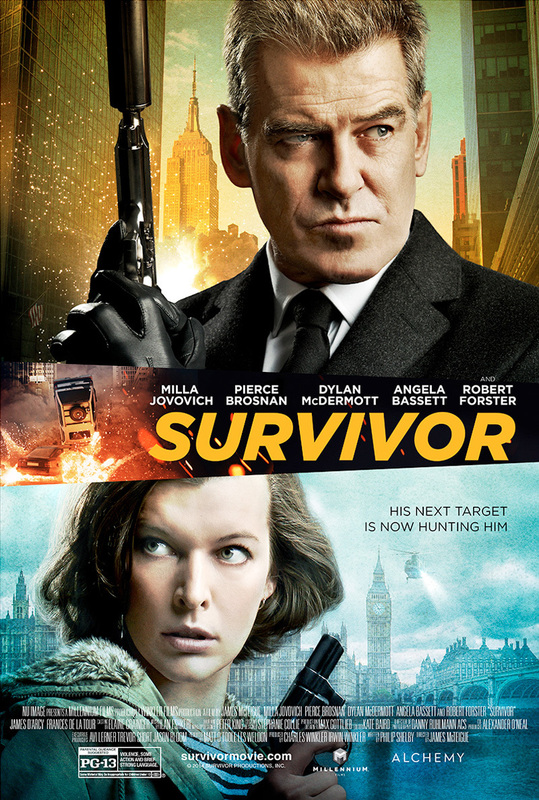 Survivor DVD and Blu-ray release date was set for June 23, 2015. A woman who works for the U.S. State Department gets assigned to a post at the embassy in London, where she is supposed to work to ensure that terrorists are not able to go into the United States. This job makes her a target of the very terrorists she hunts, and she soon finds herself being besieged with false accusations and framed for horrific crimes she did not commit. She goes on the run, but she's already learned of a plot to unleash a massive attack on New York on New Year's Eve. Will she be able to stop it?